Jordan Brand gives us another threat this month with the scheduled release of a new colourway of one its elegant classic shoes, the Jordan V2 Grown, which will come out in a colourway that suits cooler weather. This sterling classic shoe from JB will come out in Anthracite/Cool Grey – Light Bone colourway, which is simply known as the “cool grey” edition of the shoe. 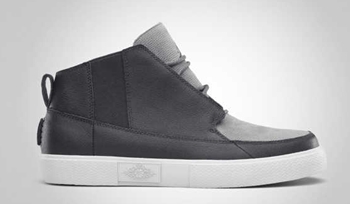 It is made up off perforated cool grey nubuck toe and tongue finished off with white midsole. So if you are looking for a new lifestyle shoe, then don’t think twice, grab this and you will surely get your money’s worth!